Dig into hydrangeas, and discover planting tips, including ideas for what to plant with hydrangeas. To properly fill each box, stick with flowering plants in two to three colors, leafy, low-sitting greens which may cascade over the sides, as well as flowers or grasses which grow upwards to add height. Thinking about planting hydrangeas in your yard? You won’t go wrong by including these beautiful bloomers in your landscape roster. 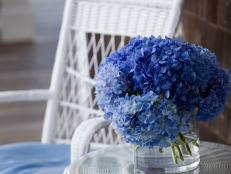 Hydrangea plants include shrubs and a vine. Perhaps some of the better known types of hydrangeas are the shrubs, which produce glorious, almost gaudy flower heads that definitely command attention. Big leaf hydrangea (Hydrangea macrophylla) is also known as French or mophead hydrangea. Large flower heads open primarily in shades of lavender, blue and pink. This is the hydrangea plant with flowers that change color depending on soil pH. Older types of French hydrangea flower from late spring into summer or longer, depending on where you garden. Newer introductions of this hydrangea plant flower repeatedly throughout the growing season. For cold-weather gardeners, panicle hydrangea (Hydrangea paniculata) offers the greatest winter hardiness (Zone 3). This is the only tree type of hydrangea, and it is a great one to try if you’re a new gardener because it’s tough as nails. 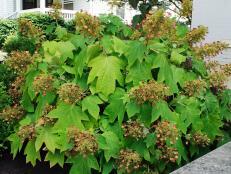 Oakleaf hydrangea (Hydrangea quercifolia) starts flowering in mid- to late spring. 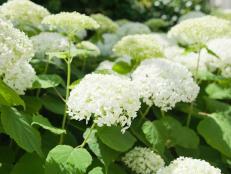 It’s the hydrangea plant to choose for planting in shade. Climbing hydrangea (Hydrangea anomala petiolaris) also grows in shade and flowers from late spring to midsummer. Planting hydrangeas is not difficult. Typically, when you see the plants for sale at local garden centers, that’s the right time for planting in your region. 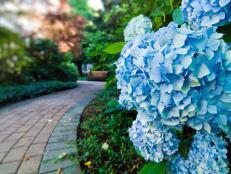 When to plant hydrangeas varies by region. In colder zones with freezes and hard winters, tackle hydrangea planting in early fall or late spring after all danger of frost has passed. 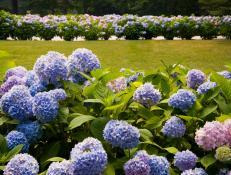 In warmer regions, hydrangea planting is a good chore from early fall to early spring. Winter planting works in warm regions with mild winters. 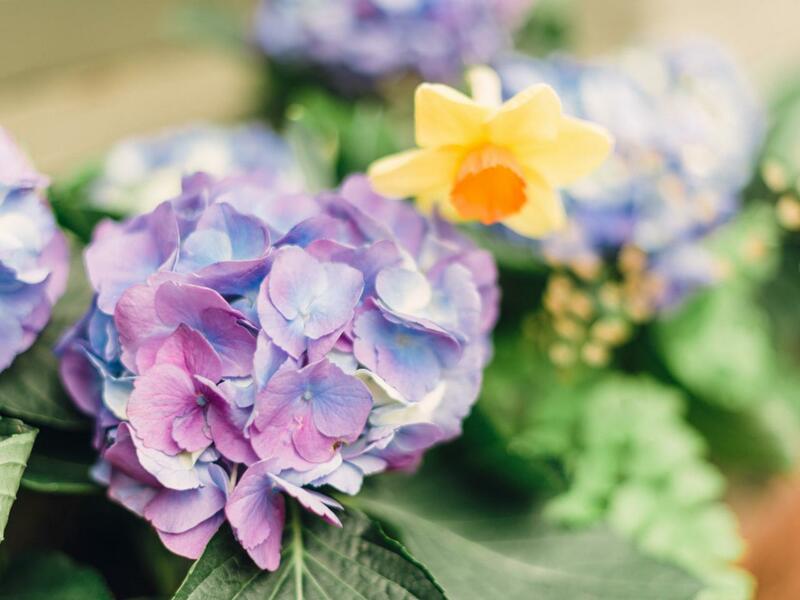 When deciding how to plant hydrangeas, the most important aspect is making sure you have them in the right amount of light and with adequate moisture. 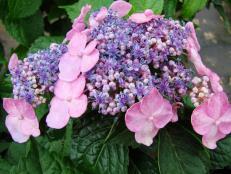 The name hydrangea hints at this plant’s thirst (think “hydra” for hydrant, hydration, etc.). 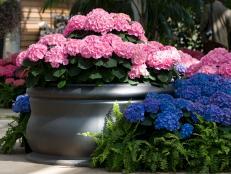 In general, hydrangea plants need well-drained soil rich in organic matter to help with moisture retention. Big leaf hydrangeas are the thirstiest. Be sure to buy plants that are in flower to avoid receiving an unpleasant surprise later. 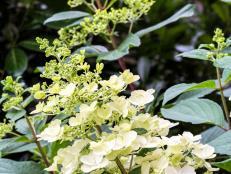 Sometimes plant labels get switched in nurseries, and if you’re intending to buy a lacecap hydrangea or ‘Annabelle’ smooth hydrangea, you want to be sure that’s the plant you’re getting. What to plant with hydrangeas can vary quite a bit based on region. 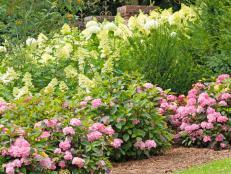 In general, you can safely pair acid-loving plants with hydrangeas, such as mountain laurel, azalea, pieris and rhododendron. Or you can plan on planting hydrangeas in perennial beds with bloomers like catmint, daylily, Shasta daisy or cranesbill geranium. Are your hydrangeas not flowering? 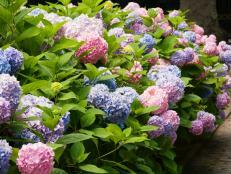 Learn the common causes of no flowers on hydrangeas. Get the scoop on different types of hydrangea, including popular varieties, and learn which is right for your yard.